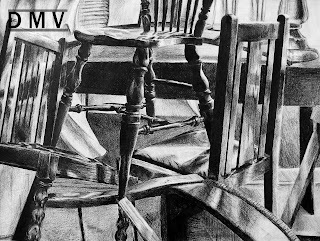 This is a black and white still life drawing of chairs that have been stacked and arranged for a strong and appealing composition. 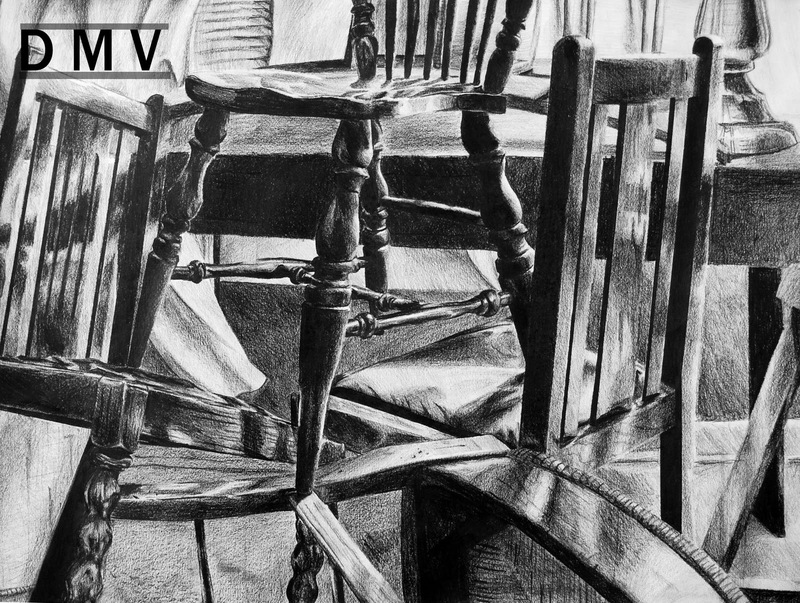 Ebony pencil is the exact media that was used in the piece. The cast shadows along the chairs and cushions are very strong and show weight and structure to the entire piece. I am very proud of this piece since it was capable of gaining a spot at the Young Master's competition and also was displayed in the Dallas Museum of Art.